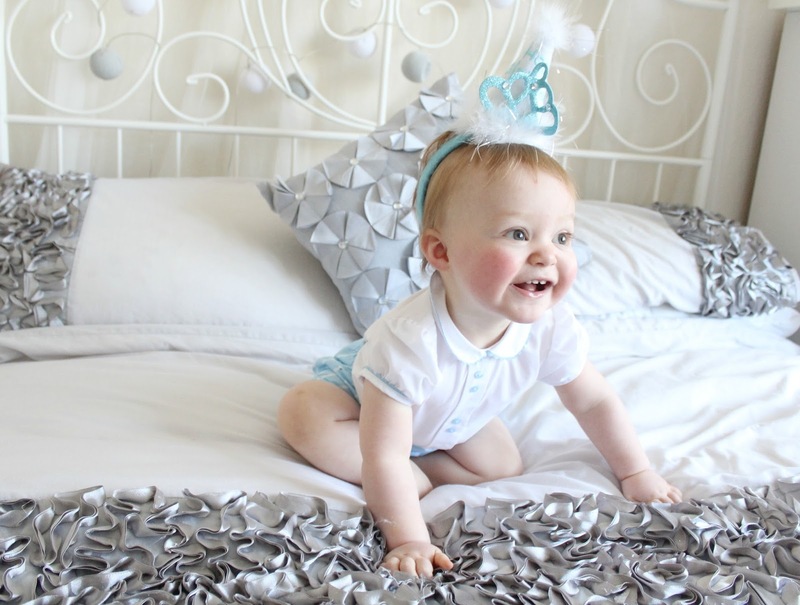 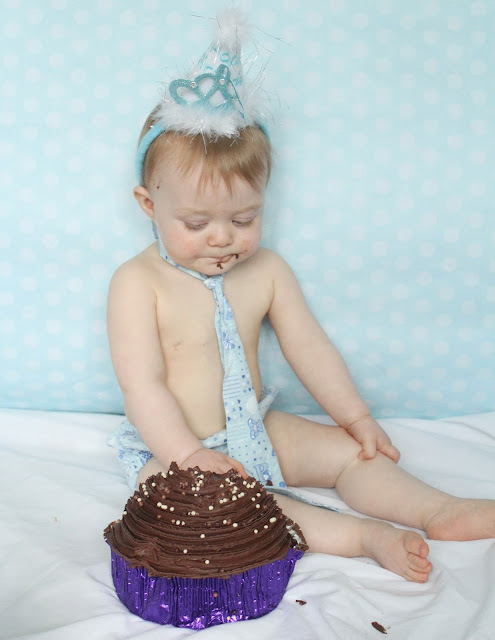 A first ever birthday is a pretty special thing, don't you think? I get so excited over birthdays and events anyway, as I think everything is so much more magical when there are children involved in celebrations - but a babies year of "firsts" is all so very exciting - the first halloween, first Christmas, first steps, first time swimming...I get excited about all of it as it's such a privilege to be there and be part of this little human experiencing all of these things for the very first time. 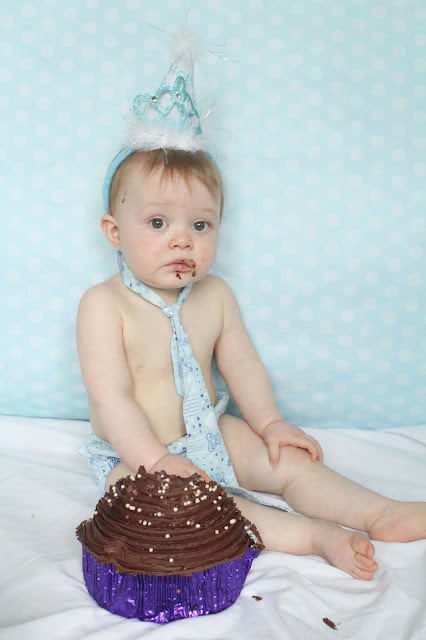 And to me, a first birthday feels just about the most special of all. 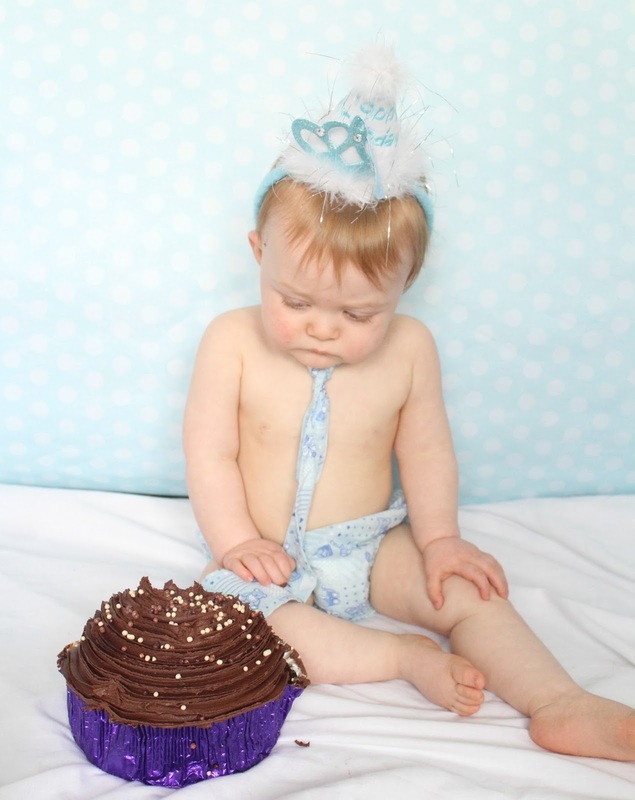 I often hear people comment that doing much to celebrate a babies first birthday is a waste of time because "the baby doesn't know what's going on"...and while that may be true, I don't think it's a waste of time at all - I think the celebrations are just as much for the parents and family to enjoy, to celebrate that this little life has been around now for a whole year - growing and learning every day, going from that tiny little wriggly pink thing you brought home from the hospital to the energetic little ball of personality it is at 1 year old. 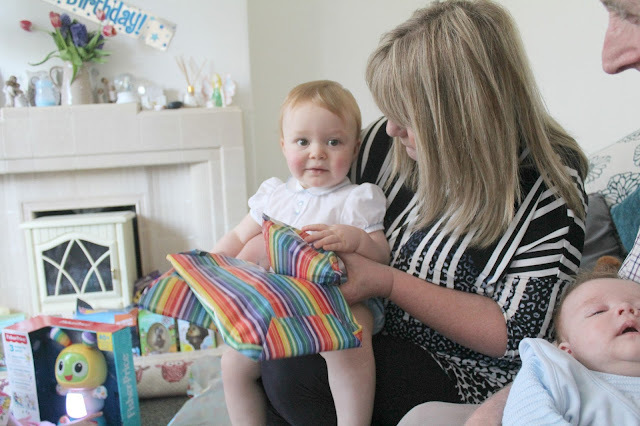 Maybe first birthday celebrations aren't for everyone, but they are definitely for me! 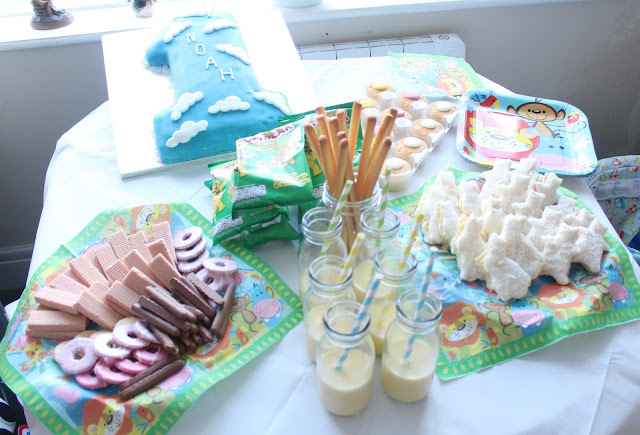 Noah's birthday falls just 5 days after Tyne's - so to say that week is a hectic one for me is an understatement! 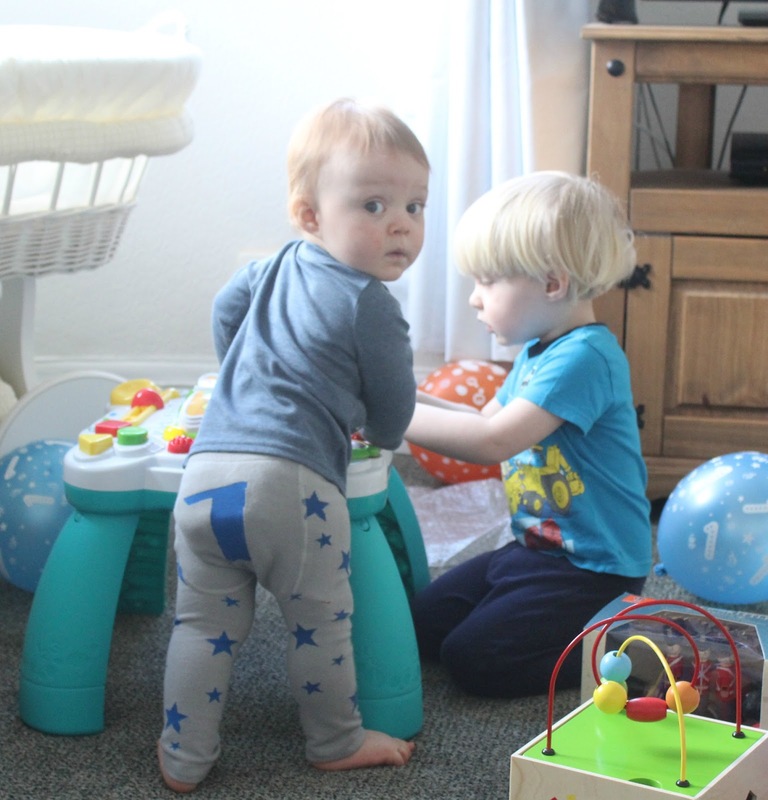 Maybe when they're older I might start to do joint birthday parties to make life a little easier, but I didn't want to do that just yet as I wanted Noah to have his very own first birthday all to himself - just like his brother got for his birthday. When it comes to birthday cakes I am usually all for buying them...I don't enjoy baking, I'm not very good at it and so I'd much rather just throw money at it than get my own hands dirty if truth be told! 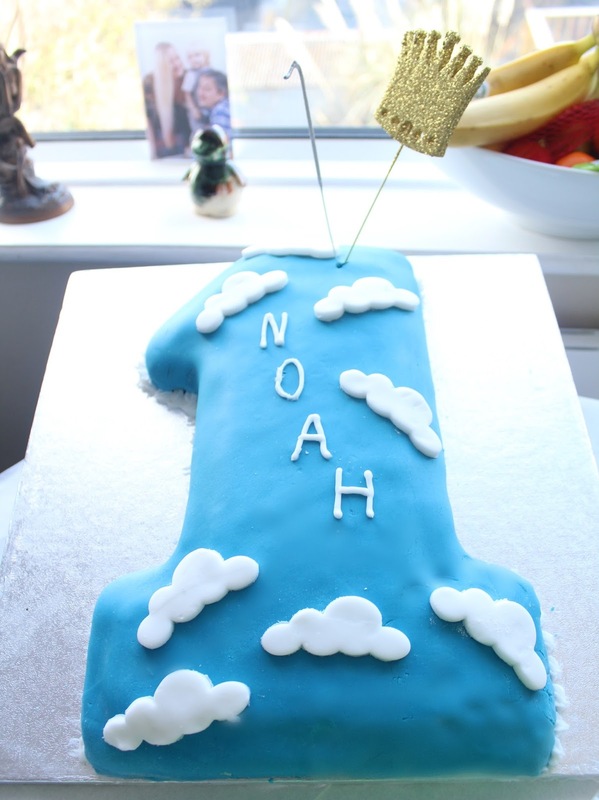 !...but I baked Tyne's 1st birthday cake myself and so I felt like I should do the same for Noah. 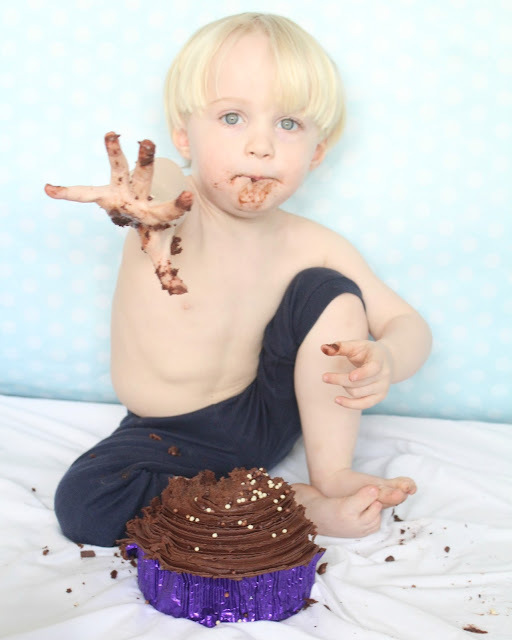 So the night before his birthday, I set about baking it - unfortunately all of the children woke up at different points during this and Sailor refused to settle, Jon was out and so it was just me seeing to all 3 of them and trying to bake too - which resulted in me burning the first two cake attempts! By the time number 3 was done, It was 3 am and I was shattered...so my icing and decorating job was far from good...but hey, I tried, right?! 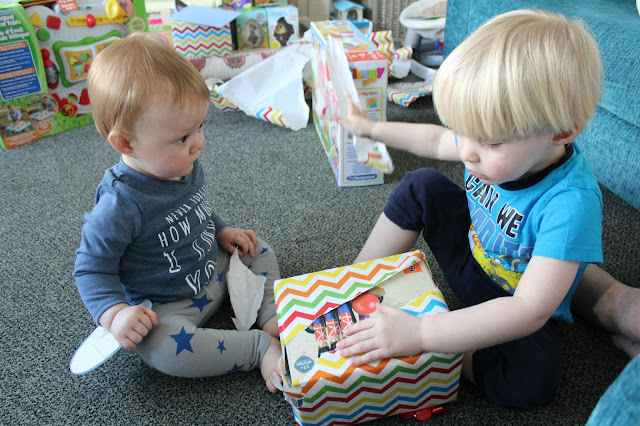 We spent the morning of Noah's birthday opening gifts - Noah really wasn't much of a fan of present opening at first, but his big brother was of course more than happy to step up and help out! I asked Tyne to let Noah open the last gift himself, and we sat there waiting for him to do so - he stared at the gift for a while, poked at it once or twice and then pointed at Tyne as if to say "No...you do it!" 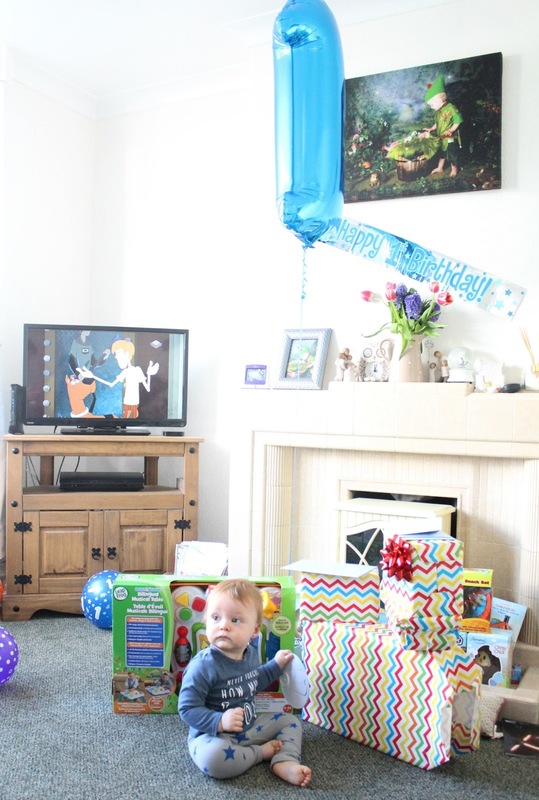 He was much more content watching Tyne tear into the parcels than trying to do it himself! 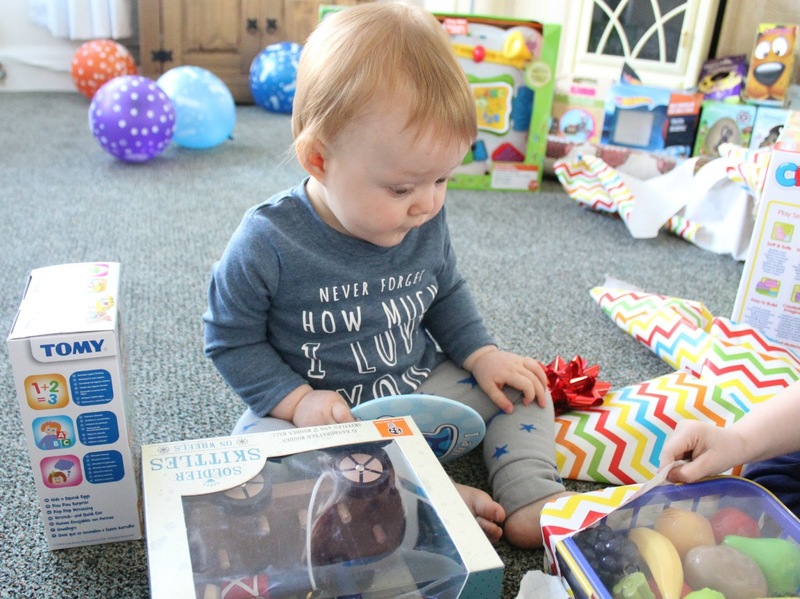 He did like playing with what was inside them though - we got him a Leapfrog musical table as he LOVES to dance, a set of very cute wooden Soldier Skittles, a farm building set, some stacking animals, Hide & Squeak eggs, and a basket of play food. 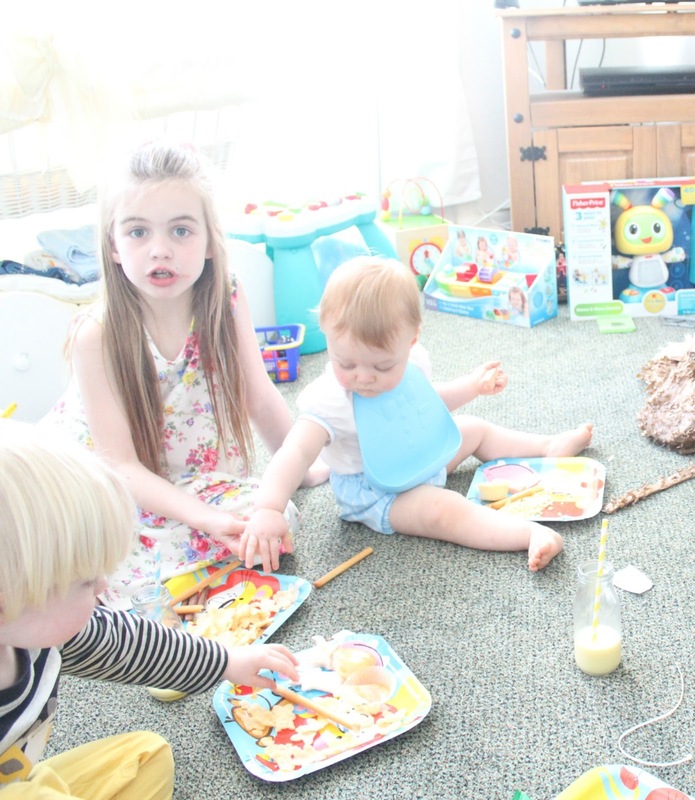 Tyne and Noah spent the rest of the day playing with the new toys, and then after lunch we attempted a cake smash! 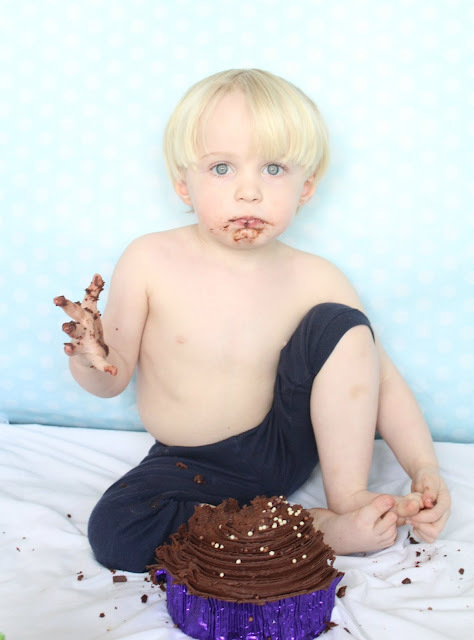 I had done a cake smash at home for Tyne's 1st birthday and he absolutely loved it - we got some adorable photos and he had an absolute ball, so we were looking forward to recreating the whole thing with Noah - unfortunately, it didn't quite go to plan! 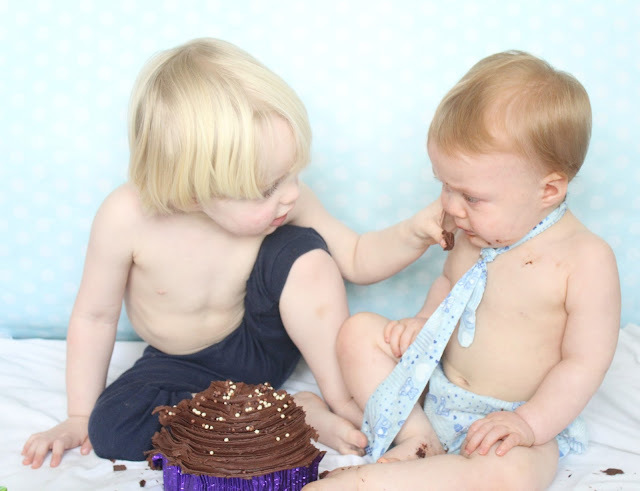 Apparently Noah doesn't like cake! 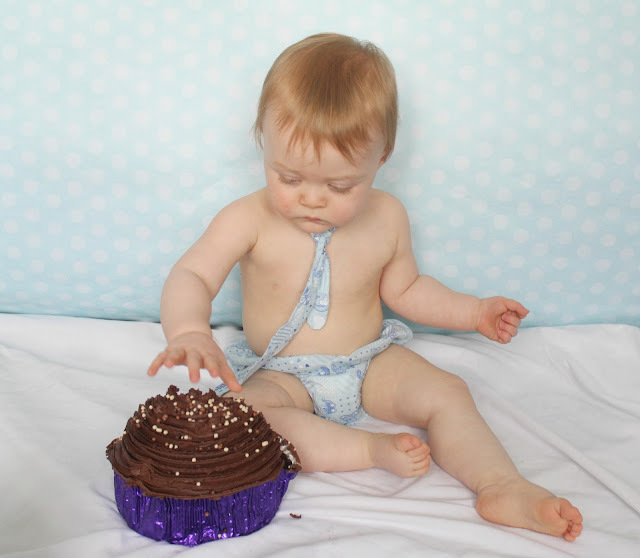 We managed to get a few photos of him sitting beside the cake, but once he actually tried it...he ended up crying...a lot! 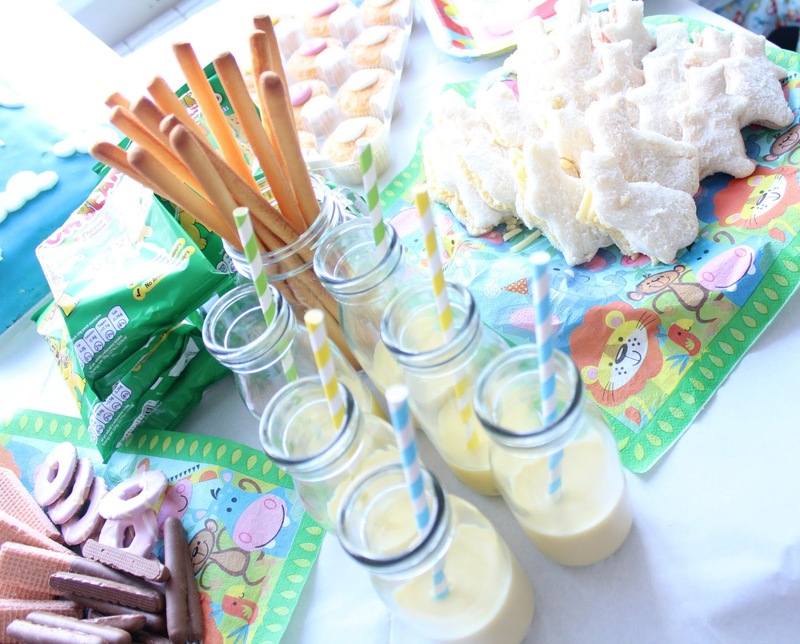 We weren't doing a big party as he doesn't like a lot of fuss, so it was just us and his cousins, aunty and grandparents who'd made the trip from Liverpool to Devon especially for it - I bought some animal plates and napkins, and just did a very small little party table for the kids of cakes, crisps, biscuits and some animal shaped sandwiches along with some banana milk! 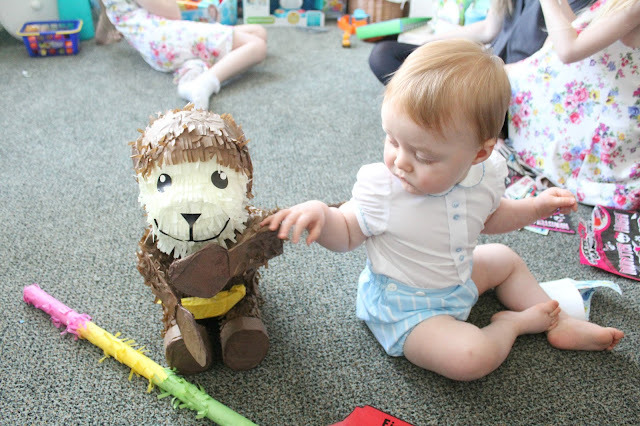 We played a few little games such as Pin the tail on the donkey, musical bumps and we had a very cute Monkey pinata...which I loved so much that I didn't want the children to smash it but hey...it had sweets inside and they were determined to get to them, so the monkey got very bashed up...poor thing. 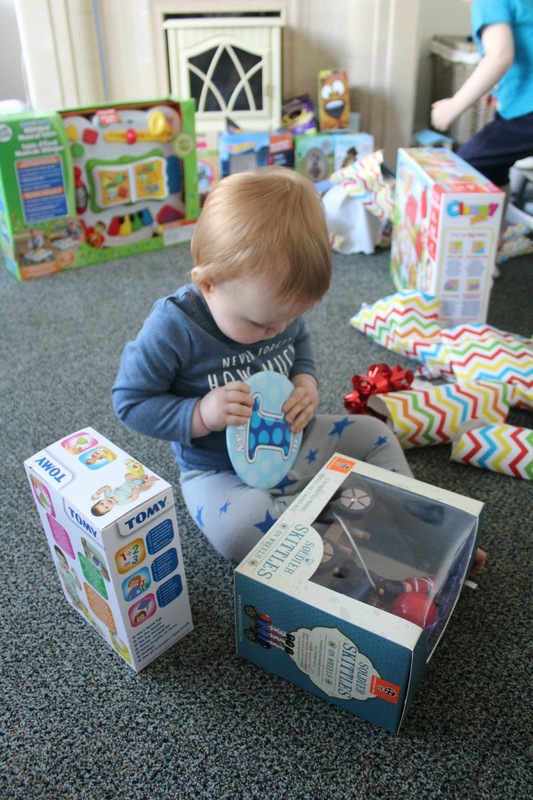 Noah got some lovely gifts from family including some new bath toys, clothes, books and a BeatBo which he and Tyne both absolutely love! We had such a nice day celebrating Noah's 1st birthday and I think he enjoyed it too - despite not liking presents or cake!! 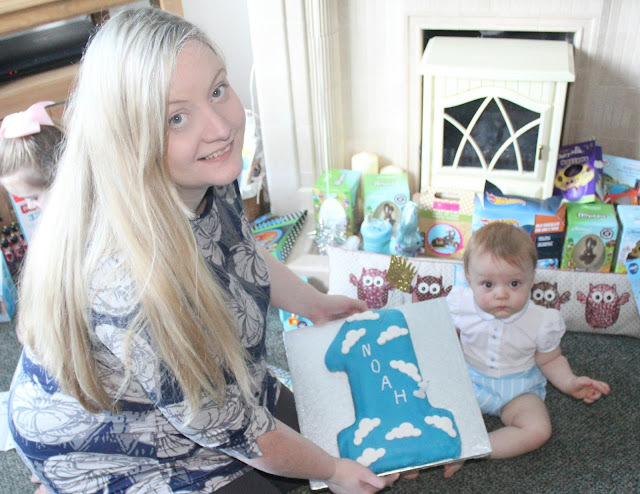 I wonder how much that will all change next year? !